X. Is There a Right way to Behave? Regardless of who you are or your particular personal stripes, you probably find the question above slightly tricky. I know I do. I find the notion complex because on the one hand, I don’t really feel like telling anyone what to do or how to be. On the other hand, I spend a good chunk of many days pissed off at the behavior of others, behavior I presumably find to be incorrect. But most decent people have a problem with inconsiderate, violent, or negligent behavior. Ask five Christians which five behaviors are problematic and you’ll get at least fifteen answers. The same is true of virtually all other religions–yes, I don’t mean to disappoint anyone, but Buddhism and the religious traditions of India are no exception to this rule. It can be secular, too, though. I am both environmentally concerned and environmentally conscious, but the people who call the environment their number one issue would find at least some of my behavior to be incorrect, if they were to follow me throughout the day. I care deeply about equality and egalitarianism, but any gender studies minor might accuse me of patriarchy and ignorance. 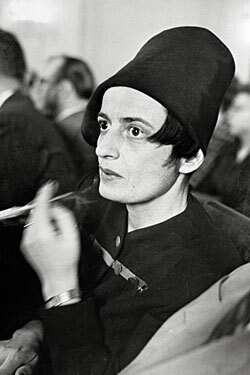 Socialists will say that you consume too much and capitalists will say that you share too much and relax too much–all right, capitalists are maybe a little extra weird. Okay, I like to joke and play and have my fun, but normally this is not a subject this wizard wishes to touch with a ten-foot pole. Besides how I may feel while behind the wheel or in front of my work computer or watching the deranged idiots destroying the world on television, I know that my many qualifications don’t include telling people what to do. It’s not even something I have interest in doing. 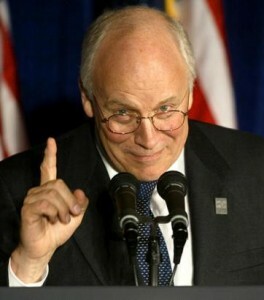 After all, there are plenty of people out there who will tell you what to do, and they don’t need me. There’s a waiting list, in fact. But the I Ching’s 10th hexagram, asserting that social balance depends upon proper interactions between people–especially between the high and the low–allows for a very brief and limited discussion of this very topic. We are shown a situation in which it is safe for the weak to stand up and defy the strong; because the weak commits his insubordination with a laugh and a smile, the strong takes it in stride and may even laugh along. Herein lies a key lesson: our manners and our comportment are not meaningless chores of etiquette but tools we must use to better relate with other people. In the opposite scenario, if you are yourself forced to deal with unruly and unsavory people, you’ll be better positioned to get what you want if you maintain your politeness and a pleasant demeanor. Sometimes (though it may seem counter-intuitive) employing such “tactics” is actually the only way to gain any ground with the irritable and the ignorant and the insidious. Our lines give us some more specific scenarios and how best to play them out. Here’s an idea to consider: the attainment of true success is dependent upon the intent behind it. If you find yourself in a lowly position but only want to rise because you’re sick of having a lowly position, you throw it all away before you even start. Even if you get what you want, you turn into a self-important boot-strapper preacher. On the other hand, if you find yourself in a position to rise and you are good at your work and you put your head down and mindfully embody the work and its consistent completion, you’ll find true elevation. In a completely different picture, a sage who walks the road alone, simple and content, never gets trapped or bogged down. It’s like a slightly different iteration of “a rolling stone gathers no moss” or even St. Paul’s teaching that, if you are able, there are benefits to a solitary, single, spiritual life. For many of us, myself included, this is not our lot. But it is important to consider that, for those who are able and suited to it, simple happy untied solitary wandering is itself a form of correct behavior. Something incorrect? If you find yourself in a weak position but think you are strong and plunge madly ahead, you’ll discover how wrong you were only when you sprint straight into a disaster of your own making. Be aware of your position and your abilities. Be neither arrogant nor impatient. See things as they are and act according to that and not in accordance with the way you wish things to be. Better to remain in a lowly position than to bet it all on an ill-timed power play and lose what little you had in the first place. And then again, the opposite could be true. You might be strong in fact but weak in outward appearance. Facing a dangerous enterprise, you know you have what it takes even if nobody else does, but – perhaps especially when feeling this kind of confidence – it is important and correct to remain cautious and restrained. With this attitude of prudence, you won’t throw your strength and advantage away by doing something hasty or stupid. Instead, we see things through to the conclusion. Even rulers, especially rulers, must maintain upright and resolute conduct if society is to properly run, but even this in itself can be a danger, something of which we must all take note. If good behavior is taken too far; that is to say, if it is imposed upon others with little reasoning or justification, you’ve just become the Taliban. I’m being flippant, but the principle is sound. Another danger lies in cultivating a vigorous field of pride within the knowledge of one’s own behavior, for short-cutting to self-worth in this manner can, taken too far, invalidate the entirety of the good behavior itself. Finally, we are advised one last thing that pertains to behavior. It’s a kind of test you can use to judge your own successes and setbacks (and, as it happens, also sounds a lot like something in the New Testament – bonus points to anyone who knows what that is). If the plants you are growing are yielding rich and healthy fruit, your behavior is right, and if you continue, you will gain successes. If the plants you are growing produce wilted fruit or some kind of empty-calorie snacks, you’re not behaving well, and you should adjust course to avoid the disasters looming ahead. 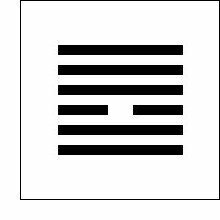 This Days of Change post is the 10th in a series of 64 posts exploring the 64 hexagrams of the ancient Chinese I Ching. To learn more about the I Ching, the Days of Change series, or even to start from the beginning and read all ten, go here. Here’s some original behavioral wisdom from the Wizard himself: Don’t be like this guy. Previous Post It is Today and we are Here!